Cape Canaveral Air Force Station, Florida. 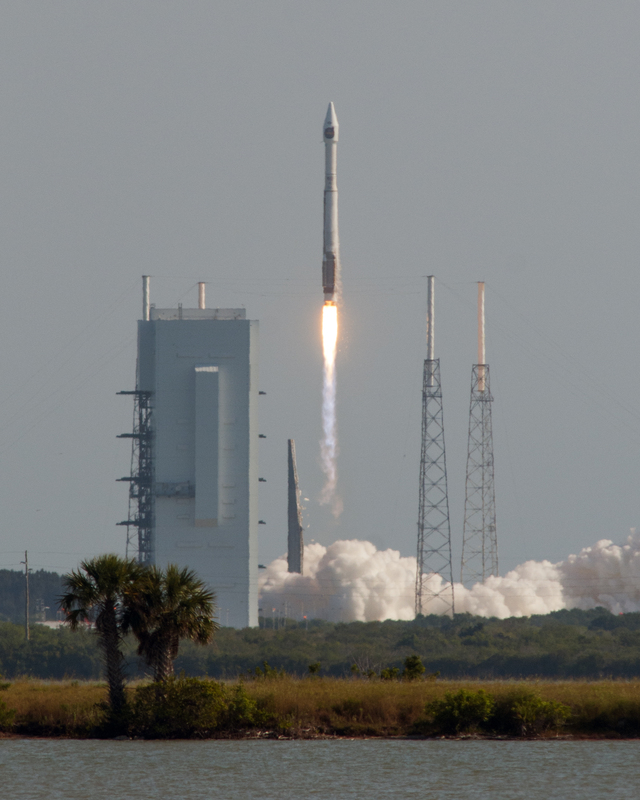 May 22, 2014 – A United Launch Alliance (ULA) Atlas V rocket carrying a payload for the National Reconnaissance Office (NRO) lifted off from Space Launch Complex-41 today. Designated NROL-33, the mission is in support of national defense. “Congratulations to all of our mission partners on today’s successful launch of the NROL-33 mission! The ULA team is honored to deliver another critical national security asset to orbit together with the NRO Office of Space Launch and the Air Force,” said Jim Sponnick, ULA vice president, Atlas and Delta Programs. Today’s launch occurred six days after ULA’s launch of GPS IIF-6 last week. It’s the second time this year that the company has launched back-to-back missions within a week. “Successfully launching at this tempo is a testament to the team’s focus on mission success, one-launch-at-a-time, and continuous improvement of our launch processes,” said Sponnick. This mission was launched aboard an Atlas V Evolved Expendable Launch Vehicle (EELV) 401 configuration vehicle, which includes a 4-meter-diameter payload fairing. The Atlas booster for this mission was powered by the RD AMROSS RD-180 engine, and the Centaur upper stage was powered by a single Aerojet Rocketdyne RL10A engine. The EELV program was established by the United States Air Force to provide assured access to space for Department of Defense and other government payloads. The commercially developed EELV program supports the full range of government mission requirements. ULA’s next launch is the Delta II OCO-2 mission for NASA, scheduled for July 1 from Space Launch Complex-2 at Vandenberg Air Force Base, California.